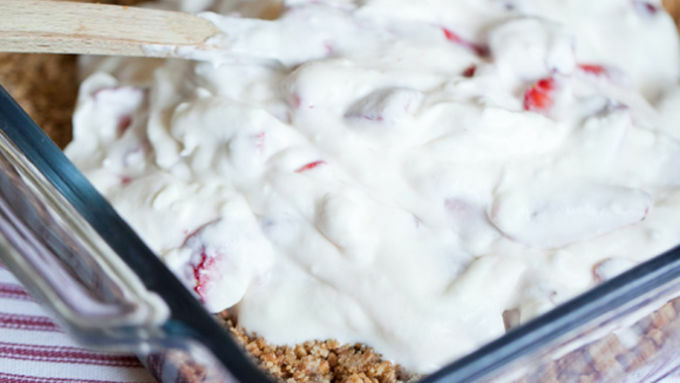 On a hot and sweltering summer day, this dessert is a cool alternative to your average cake! 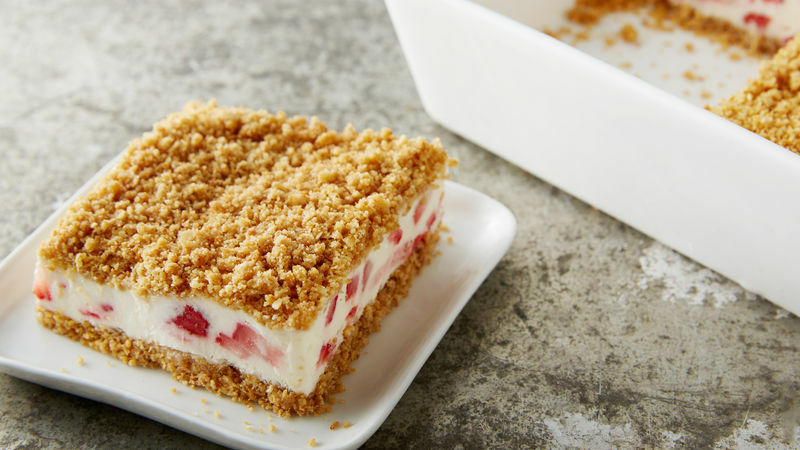 Frozen Strawberry Crunch Cake is the perfect frozen treat to serve at an outdoor summer get together. The irresistible crust is made with delicious Nature Valley Oats ‘n Honey granola bars mixed with brown sugar and butter (yum!). 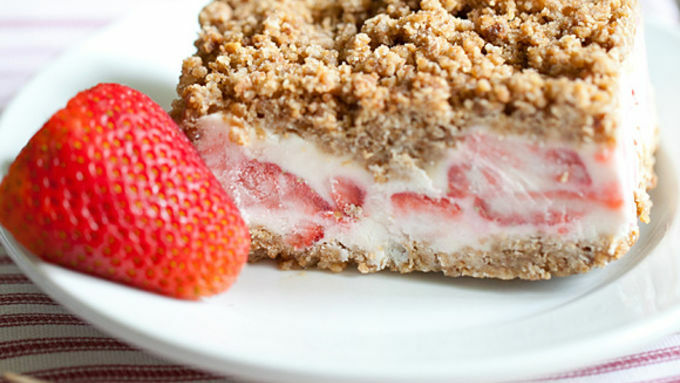 The frozen cake is a creamy whipped filling with cream cheese, sugar and lemon. 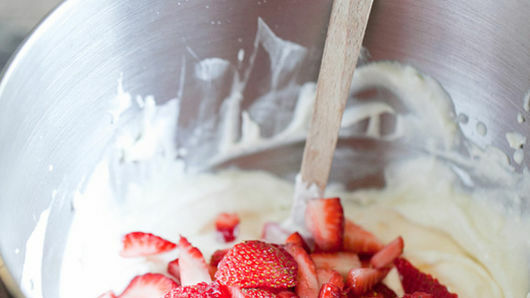 Adding the fresh strawberries gives it a light flavor and crunchy texture. It’s a very unique dessert because it’s not really ice cream and it’s not cake either...it’s a frozen dessert. It’s a bit addicting. Trust me, your guests will be coming back for more. Hope you enjoy!